Dialogic® JCT Media Boards can be used by developers to provide cost effective, scalable, high-density communications applications. The applications include those requiring digital network interfaces as well as multimedia resources, such as voice and software-based speech recognition or fax in a single Personal Computer (PC) slot. 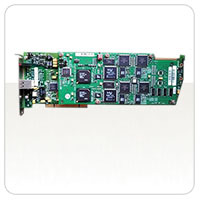 These boards offer a rich set of advanced features and support Digital Signal Processor (DSP) technology, Continuous Speech Processing (CSP) technology, and industry-standard PCI or PCI Express bus and CT Bus technologies. the DSP-based solution optimized for speech recognition — enables a friendly user interface and seamless integration of speech recognition software from leading speech technology vendors. CSP reduces system latency, increases recognition accuracy, and improves overall system response time for high-density speech solutions. based fax and support for software-based speech recognition lets developers maximize the number of boards in the system for multimedia communications applications, such as web-enabled call centers, voice portals, unified messaging, or speech-enabled Interactive Voice Response (IVR). The option to use voice coders, such as Global System for Mobile Communications (GSM) and G.726, provides the capability to build unified messaging solutions while extending existing legacy messaging systems. In addition, Dialogic ® Global Call Software facilitates global deployment to meet the growing needs of your business. 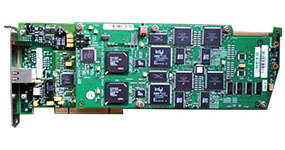 For more information about Dialogic, Dialogic PCI Media Boards and / or Dialogic JCT Media Boards contact sales@comtalkinc.com or call (800) 955-6082.